A common element in fiction is the idea of what the world would be like in the aftermath of an apocalypse. Would society be able to be rebuilt or would humanity be reduced to uncivilized animals who kill and steal from each other to survive? I am planning on exploring this concept in the epilogue of my fifth volume as well as my sequel series. What will make my post-apocalyptic world stand apart from others is the inclusion of super humans and how they will influence the destruction of the old world and the creation of the new one. Throughout superhero fiction, I noticed that every superhero has their own unique rogues gallery of recurring enemies. When I started my series, I decided to follow this tradition and give the Young Guardians their own rogues gallery, starting with Cyber Shadow in the first volume. With each volume I write, the rogues gallery grows and when I look back I realize I created some rather weird and unexpected supervillains. When I branch off with my sequel series, I am thinking of giving that next generation of heroes their own rogues gallery. I already have ideas for supervillains and some of them are even more frightening than the supervillains in my current series. I am eager to continue writing and keep you updated on further developments. Every battle has several fronts. In my upcoming fourth volume, the Young Guardians will be fighting a battle on three fronts! As a result of the aftermath of volumes two and three, they will fight to maintain the public’s trust, which is something every superhero will struggle with day after day. Second, the Young Guardians will have to face the imminent threat of a new unknown enemy. Finally, they will make preparations for their final battle against Vogan and the Black Pantheon. These three fronts will raise stakes higher than ever in my series and the consequences will be more profound than the Young Guardians can ever imagine. One of the most interesting superheroes I have seen is Doctor Manhattan/Jon Osterman from Watchmen. The reason for this is because he represents how gaining superhuman abilities could affect a person psychologically. Not only could Doctor Manhattan manipulate matter itself, but he could also see his past, present, and future simultaneously. All of his knowledge and power made him become detached from the rest of humanity. In addition, Doctor Manhattan represents what could happen if the government took advantage of superhuman individuals because Doctor Manhattan’s power was so great that the United States government made him the lynchpin to their strategic superiority over the Soviet Union during an alternate version of the cold War. This would imply that a government would be willing to turn any superhuman into a weapon. Overall, I like Doctor Manhattan for his complexity and power. If you are looking for a character who struggles with the weight of his own power, this is the man to see. Now that four of my new short stories are out, I am starting another one that will elaborate on the origin of my female lead, Tinisha Dolaira. This will be the story that will be portrayed in a fantasy world where magic reigns supreme. In addition, this story will show the events that lead up to my first volume, The Young Guardians and the Genesis Spell. I will keep you updated on any further developments. 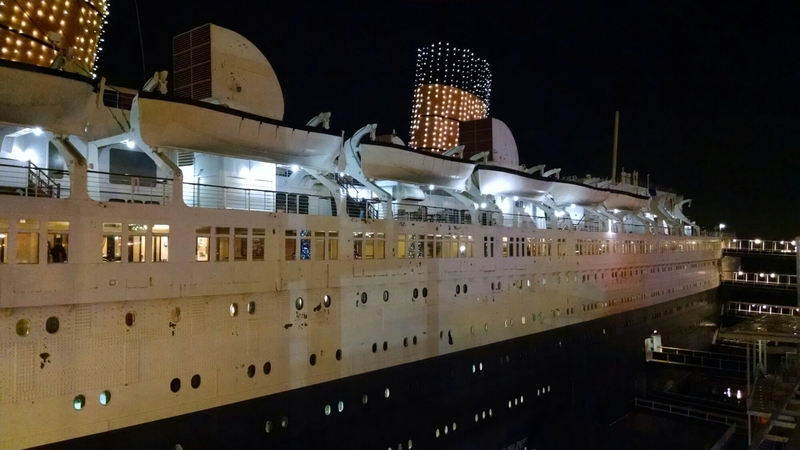 As part of my family’s week-long Christmas celebration, we went to The Queen Mary to have a festive dinner and I had a sensation I will never forget. I heard the stories that this historic ship was haunted and once I entered the center of the ship I noticed the atmosphere completely changed. Throughout my visit, I could feel the back of my neck, shoulders, and upper arms tingle as though someone was touching me even though no one was. It was then I realized my family and I were not alone because there was definitely a presence on board. I am thinking of using this experience in future works. My fourth short story is now available on Kindle! For more information, click here.